The group meets at the Littlewick Medical Centre Reception at 10am every Thursday morning. Walks will be short ranging between 1.5 and 3 miles long. The walks are led by qualified walk leaders and will be suitable for those returning to, or new to exercise. Walks are free of charge and anyone is welcome to come along- no need to book. Afterwards, you will return to surgery where you can have a drink and a chat, and will be joined by Hazel our Admin Assistant who has the chance to join the walkers once a month to try it for herself. Walking leader Tor Pitts says “The walks are open to everyone, and we can go at anyone’s pace. It’s the social side of the walking group that people love, and makes them come back each week”. Do you want to join a ‘strictly no falling’ class? We have a chair based exercise group which runs Wednesday from 10am till 11am here at Littlewick Medical Centre! The classes are £4 each time. Our chair based exercise group is ideal for people who are new to exercise and are unsteady on their feet. The group mainly involves exercising whilst seated, but there are some optional standing up exercises. If this sounds ideal for you, come along and try it out! You can call the classes instructor Maria Sladen for more information on 07979 536413. Every last Thursday of the month, Littlewick Medical Centre hold a Carers Coffee Morning. This is a place for unpaid carers who look after a family member, friend or neighbor to get together to have a coffee and a chat. Over the last 12 months, it has proven to be very successful and carers who attend are now in regular contact with each other. This is open to anyone in the area even if you are not a Littlewick patient. Derbyshire Carers Association attend all of the coffee mornings so are available for any questions or advice. There are sometimes specialized guest speakers in attendance who will provide information on a specific topic. 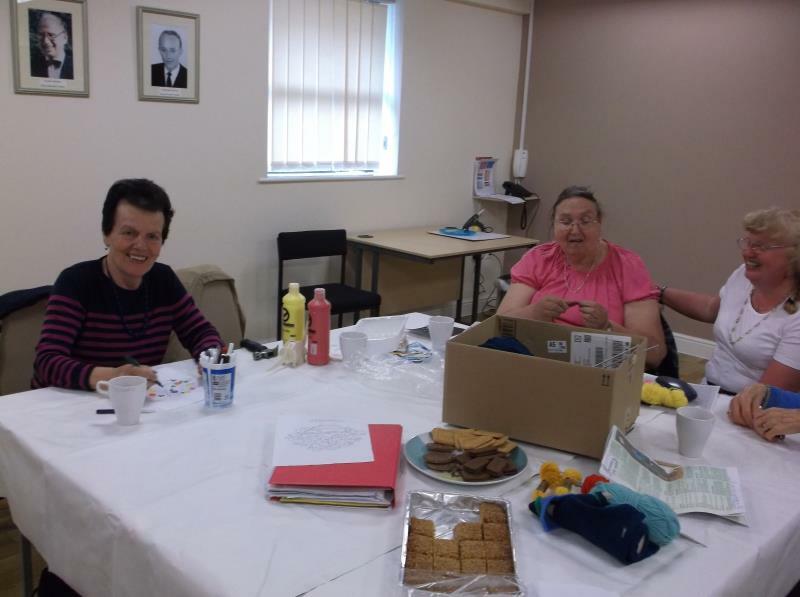 Littlewick runs a weekly social “Craft & Chatter” where people get together for a chat, a cup of tea, a piece of cake and to do some craftwork.